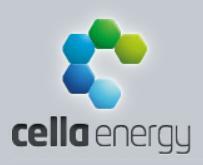 Cella PR — Cella Energy Limited has received a new round of financing led by a $1 million investment by Space Florida. These funds are part of a larger $2.5m equity raise by international investors that will support the development of four proof-of-concept projects for Cella’s new safe, low-cost hydrogen storage technologies. The funds will also be used to expand operations and provide employment opportunities, both in the UK and in Florida. Cella’s ground breaking technology could lead to lower priced fuel at the pumps, but moreover could improve energy security in the European Union, the United States and throughout NATO. Cella plans to develop its safe, low-cost hydrogen storage materials both at the UK Governments’ prestigious Science and Technology Facilities Council’s (STFC’s) Rutherford Appleton Laboratory near Oxford, UK and in a new facility at the NASA Kennedy Space Center (KSC) in Florida, USA. Over 30 years NASA-KSC has become one of the largest users of hydrogen, and has built up unique expertise in this area. Cella’s technology allows hydrogen to be stored without high-pressure tanks and other potential safety hazards normally involved with hydrogen gas. Hydrogen, which produces only pure water when burned, is considered an ideal solution to cutting carbon emissions from road vehicles, which cause 25 percent of the carbon release in developed countries like the USA and UK. Until Cella’s solution, hydrogen storage has not been consumer friendly. Initial funding for Cella came from Thomas Swan & Co Ltd, a specialist UK chemical company established in 1926. “To be announcing a second round of investment so soon after Cella Energy was formed is testament to the confidence investors have in our technology” said Stephen Voller, CEO of Cella Energy Limited. “As the world population grows, so will our demand for energy. Hydrogen provides a way of helping to meet this demand for more energy but without increasing harmful emissions”. “This is a great example of international cooperation to overcome some of the most serious challenges that face mankind today” said Cella’s Chief Scientific Officer, Professor Stephen Bennington. Cella’s Board is being strengthened with the appointment of Charles Resnick, who has more than 25 years experience in venture capital and general management. In addition, Ms. Janet Petro, KSC Assistant Center Director, will join the Cella Board as an executive observer. The technology that Cella is developing arose from research done at the STFC, University College London and Oxford University. Identify capabilities, commercialization gaps and cluster opportunities. Develop a technology assistance program using existing cluster assets, state and federal organizations, and universities. Work with project partners and Kennedy Space Center/NASA to develop a center that will sponsor, support, and accelerate the commercialization of emerging clean energy products and technologies. Ascertain immediate and projected hiring needs on an ongoing basis. Recruit displaced employees exiting the space industry and other businesses to build employability skills through Career Re-entry Training. Provide education, training and job placement assistance to support career transitions to clean energy occupations. Accelerate the formation of clean energy startup companies. Stabilize and strengthen existing (two+ years) small, clean energy businesses. EDA: In partnership with the Space Coast Energy Consortium, Space Florida will work to comprehensively catalog the relevant regional industry and technology capabilities; create collaborative clean energy support programs and services; and link regional businesses and organizations with local, state and national financial and technical resources through the formation of a sustainable “One-Stop” Connector program. Also, a new Space to Energy Regional Innovation Center will accelerate the commercialization of new energy technologies and help to forge partnerships between industry developers and the space center’s energy-related technical facilities and expertise. ETA: Brevard Workforce will ensure that specific hiring needs of expanding enterprises are understood, that potential employees with the requisite skills are connected to businesses, and that the needed skill sets and workforce capabilities are addressed through targeted training opportunities. SBA: The Technological Research Development Authority (TRDA), a business support organization, will assist new small businesses and strengthen existing small businesses through mentoring in a range of topics related to starting and successfully managing businesses. The TRDA, in partnership with SBDC, WBC’s and SCORE, will also provide information about building networks and partnerships, government contracting strategies, and applying for grant opportunities including the Small Business Innovation Research programs. September 23, 2011 – Advanced Magnet Lab, Inc. (AML) announced today that the Company is among six awardees of a grant from the U.S. Department of Energy (DOE) for the advancement of next generation wind turbine technology. AML was selected based on a proprietary innovative turbine generator which enables the development of the first fully superconducting direct-drive generator for large offshore wind turbines. These generators are up to 75% lighter, 50% smaller, more efficient and more reliable than systems in use today. This award represents an initial step in the fulfillment of AML’s Clean Energy Plan for deployment of clean, scalable and efficient generators and motors for large-scale energy systems. Successful development and deployment of this new technology will help position the United States as a global leader in wind energy technologies, reduce the cost of wind energy, and support thousands of new manufacturing, construction and planning jobs in the renewable energy market. Energy prices and environmental concerns are driving the United States to develop domestic sources of clean,renewable energy. 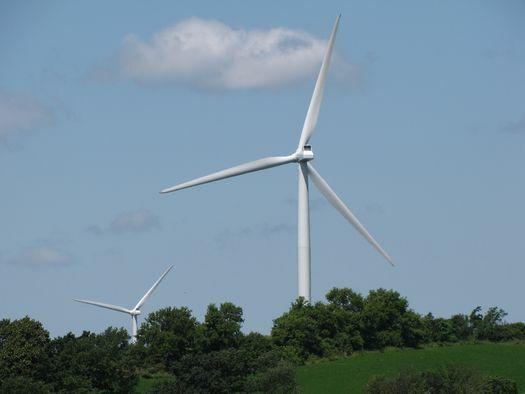 Research indicates our nation possesses abundant resources to create electricity from wind; and the DOE believes that generating up to 20 percent of the nation’s electricity supply from wind power by 2030 is an achievable goal. Much of that production would come from offshore wind farms, as offshore wind is significantly steadier and nearer to where the majority of the population resides, reducing the cost and energy losses of power transmission. Over 160,000 Megawatts (MW) of offshore wind energy projects are scheduled to be installed during the next decade throughout the globe. The funding will support the design and preparation of AML’s energy analysis model for its fully superconducting 10-MW generator. Collaborators on the project include a large U.S. industrial manufacturer and Argonne National Laboratory. AML’s solution is based on the principle of superconductivity, which allows the flow of electrical current with zero electric resistance and without energy losses when operating in a very low-temperature environment. “When applied to high power applications, superconductivity has the potential to provide revolutionary changes in power generation, power transmission and energy use by significantly reducing the cost of energy production and increasing energy efficiency in ways that are environmentally benign,” according to Dr. Philippe Masson, a Senior Scientist at AML and Principal Investigator for the DOE grant. Headquartered in Palm Bay, Florida, AML has over 16 years experience developing unique technology for energy, medical, defense and space applications. Core to AML’s technology and capabilities is a team of international experts in the fields of high-power magnet systems, superconductivity, robotics and manufacturing. AML’s comprehensive intellectual property portfolio includes enabling software, magnet and manufacturing technology. This is the direction, the progression, and the emerging industry we all need to become more educated and involved in! This is the future for Brevard county and surrounding Central Florida communities. The Next Gen Dems of Central FL proudly support these initiatives, their founders, and success! !